Set your Rotary Switch to and press the Rotary button to set this mode or Turn Your Mega Speedy on and select Nothing.. This is Flasher Mode. Now open the Drive Gate and Boot your Atari computer and this is what you should See. Needed for selection without display and for flashing any slot. 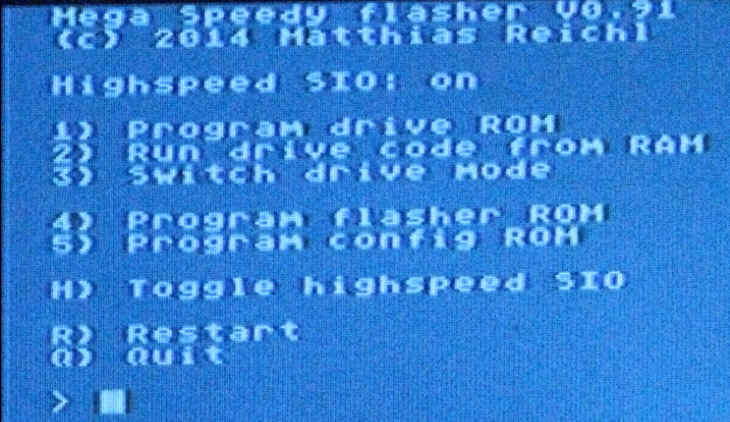 It also contains the boot menu with the flasher software, the MyPicoDos and the floppy config for the Atari.